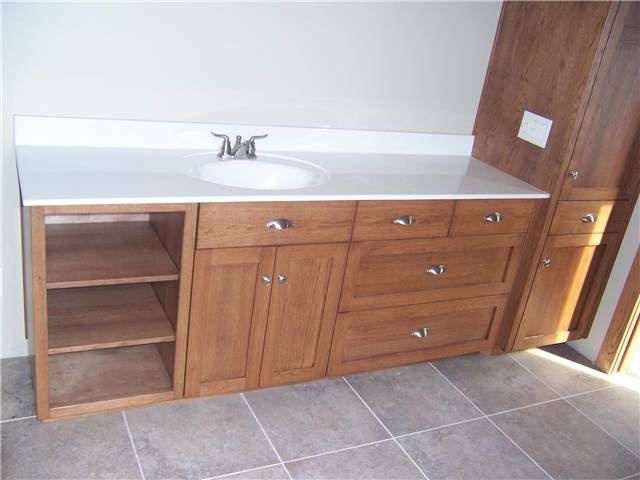 DS Woods Custom Cabinets has worked with a variety of countertop surfaces and can help you understand the choices available to you, the maintenance for each surface and other pros and cons for each countertop surface option. 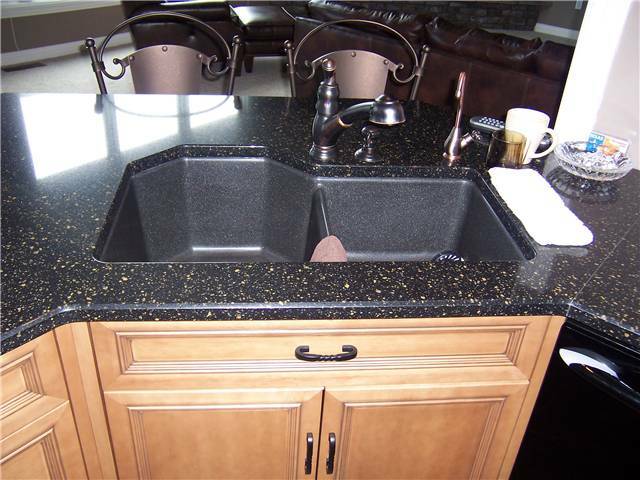 Quartz countertops are made with quartz crystals bonded together with resins, creating a very hard surface that is very resistant to scratching and heat. 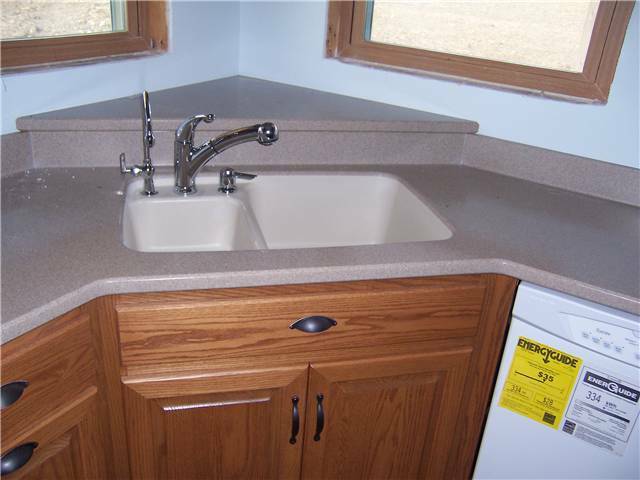 Quartz countertops are nonporous, so they are also resistant to stains and never need to be sealed. 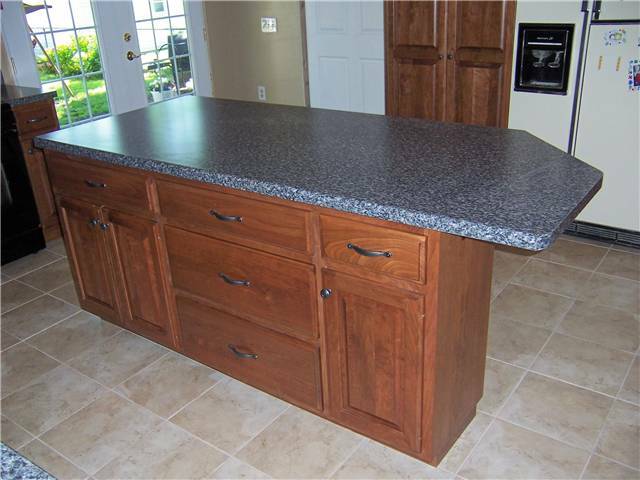 Granite is a natural stone that comes in a wide variety of colors and patterns. 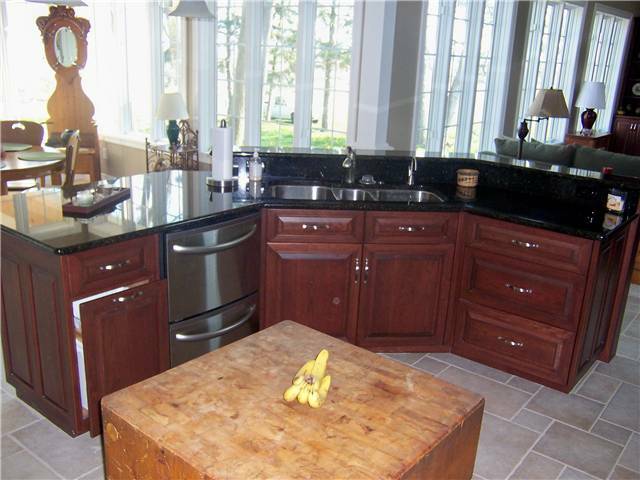 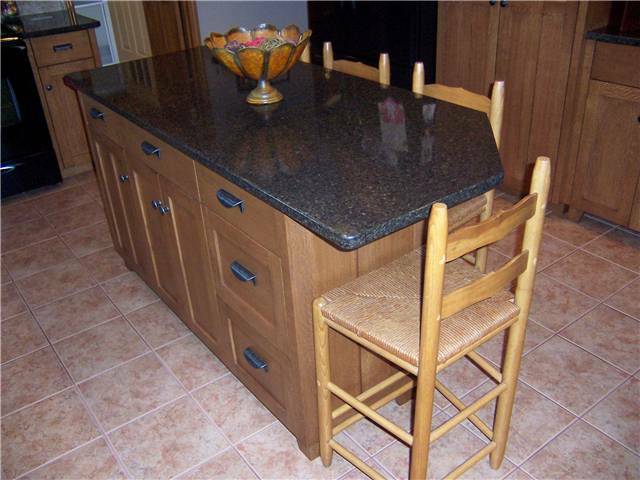 Granite is very resistant to scratching and heat. 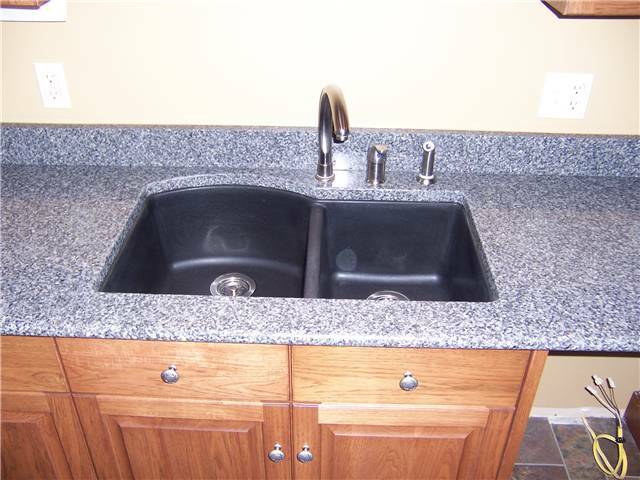 It is somewhat porous, therefore applying sealer annually is recommended. 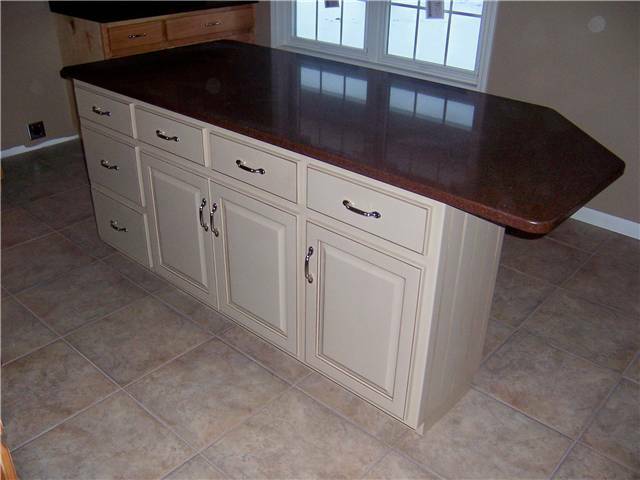 Solid surface countertops are the most versatile countertops available. 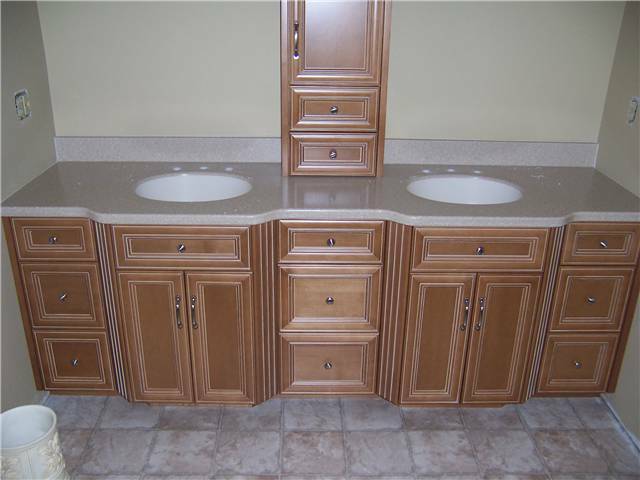 They come in a wide variety of colors and patterns. 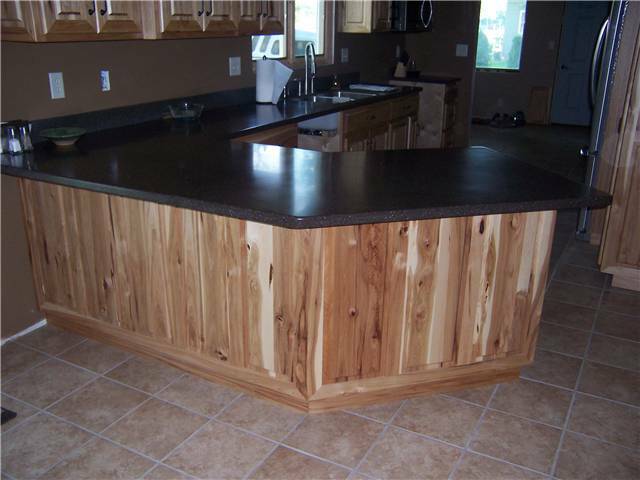 It can be fabricated to almost any shape and many edge treatments are available. 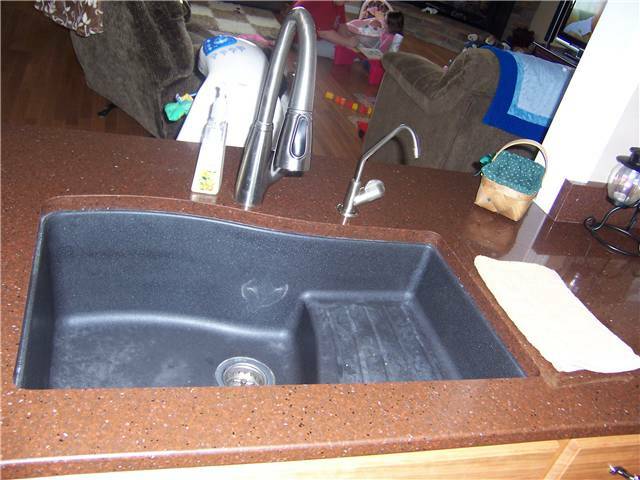 Seams in solid surfaces are nearly invisible and are permanently bonded together. 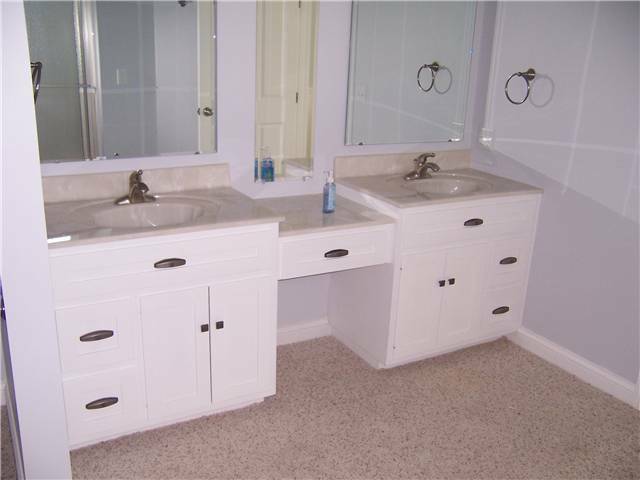 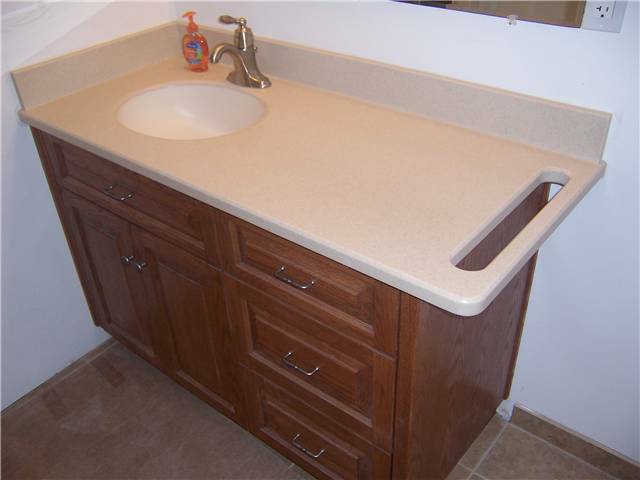 Solid surface material is totally nonporous, thereby making it very sanitary. 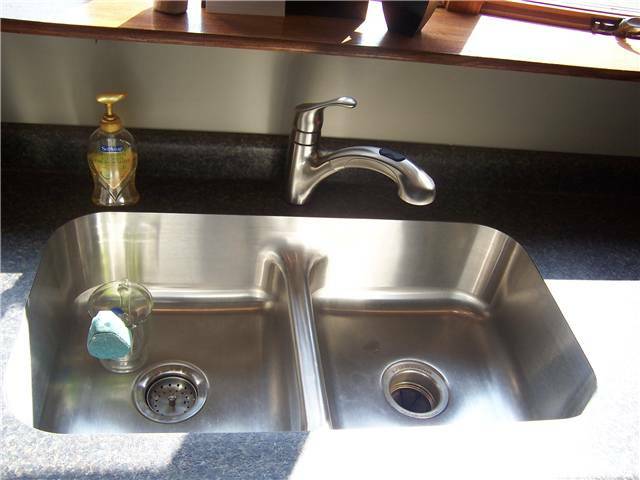 It is often used in food serving areas or medical facilities. 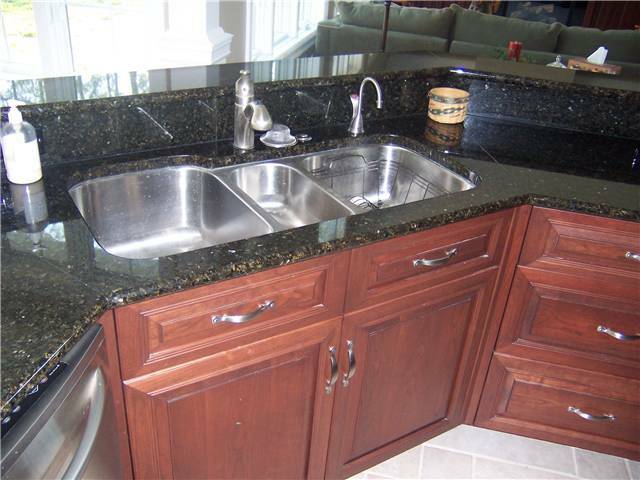 These countertops never require sealing, although occasional polishing may be needed to maintain the luster. 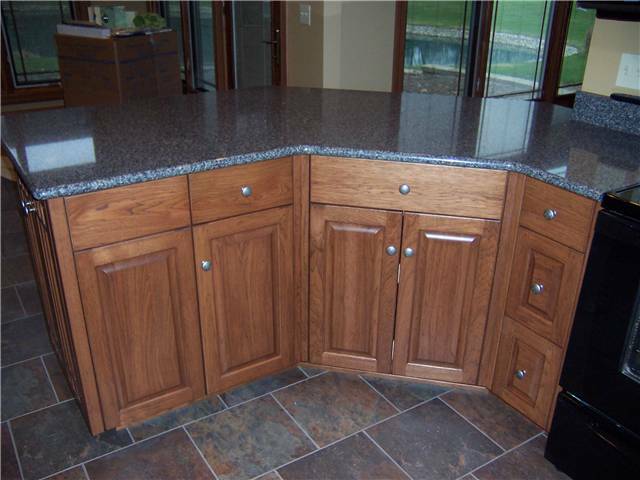 It is somewhat susceptible to scratching, but scratches can be removed with moderate sanding and polishing. 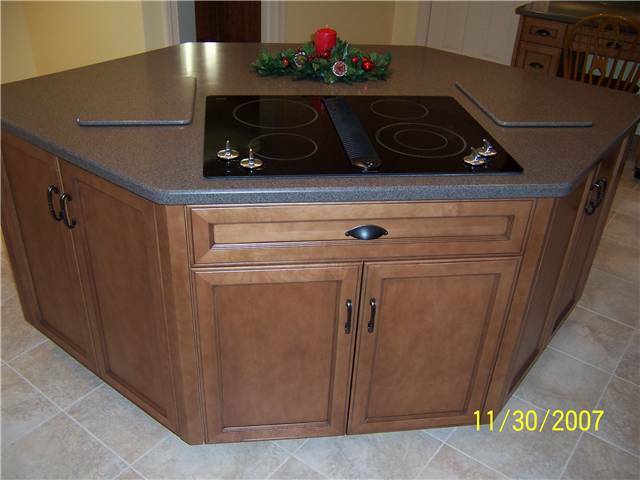 Trivets or hot pads are recommended when exposing solid surfaces to extreme heat sources. 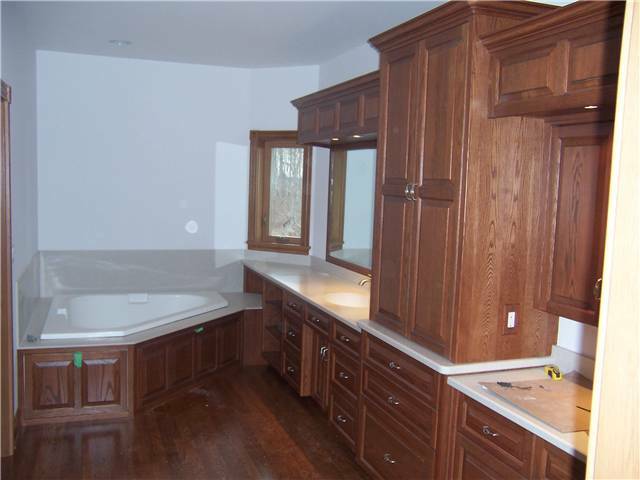 DS Woods Custom Cabinets is a Corian Certified Fabricator. 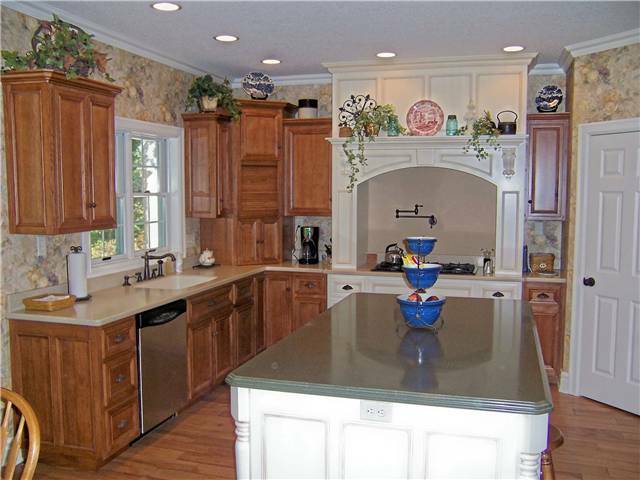 Cultured Marble and Cultured Granite countertops are from a cast polymer (a man-made material). 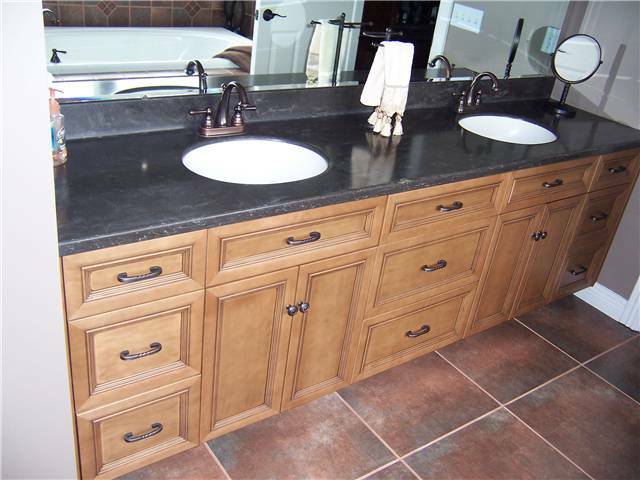 Commonly used in bathrooms these countertops are available in a wide variety of colors and patterns to mimic marble or granite. 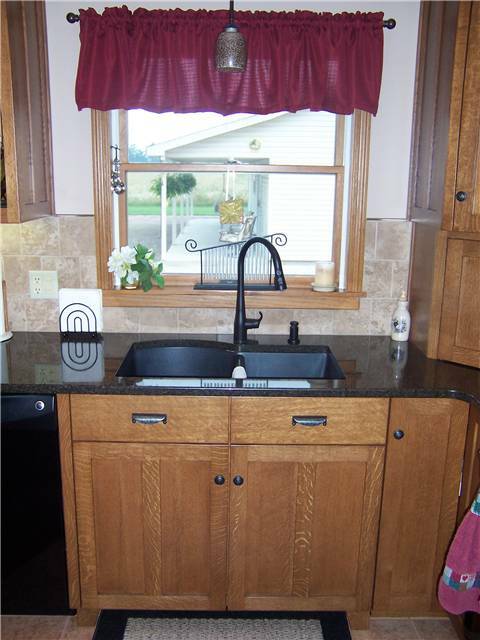 Integral sinks and backsplashes without seams make these countertops both attractive and easy to clean. 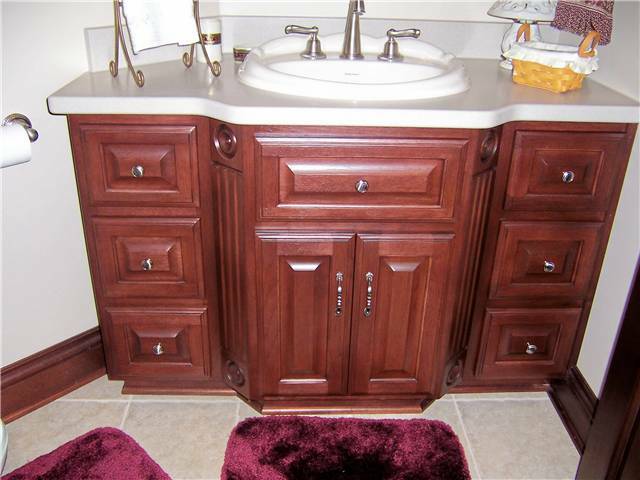 This material holds up well to daily use in bathrooms. 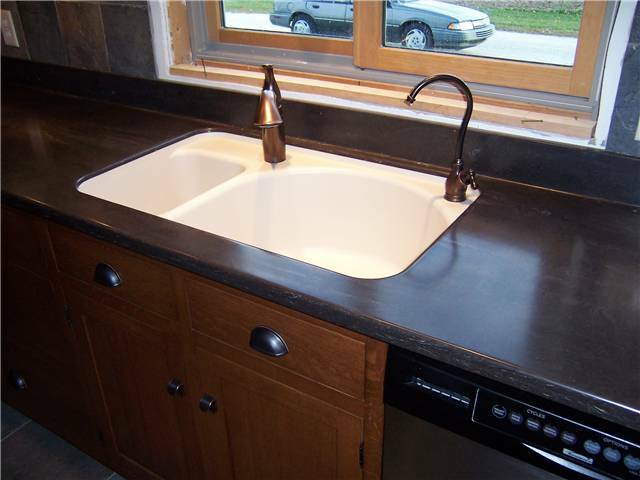 Concrete countertops are poured either on-site or in the shop depending on the size of the job. 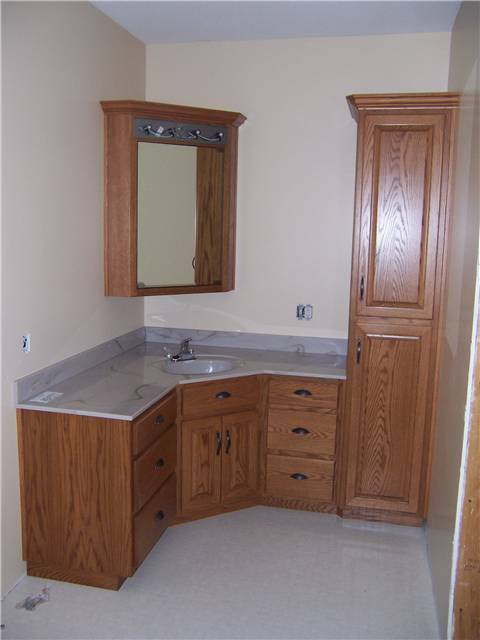 Pigments may be added to achieve the desired color and pattern. 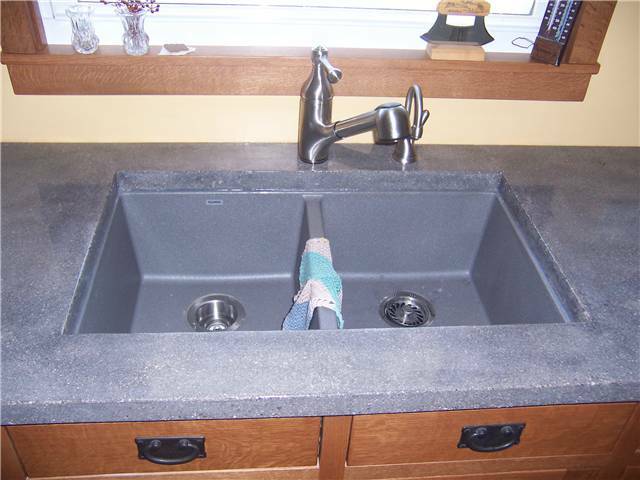 Concrete is porous and will require periodic sealing. 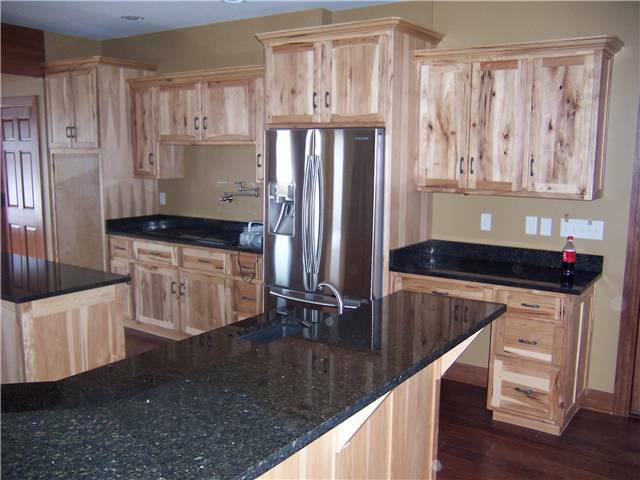 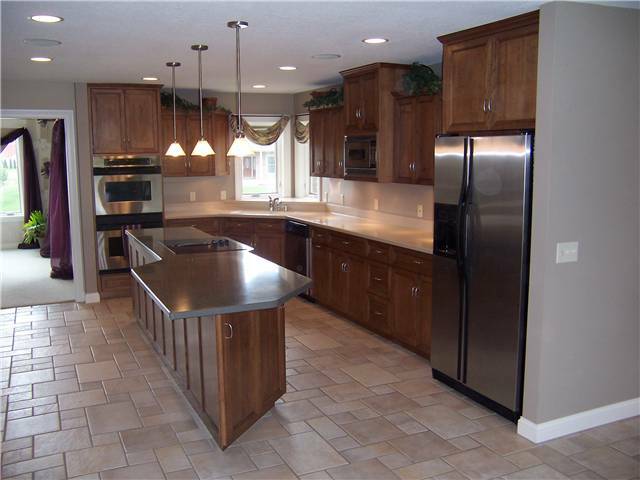 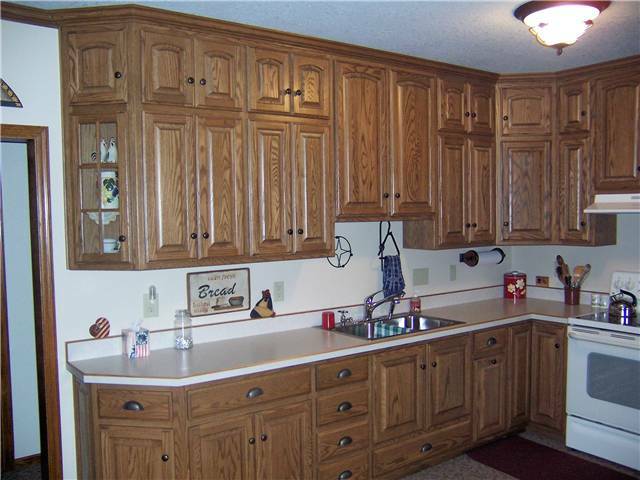 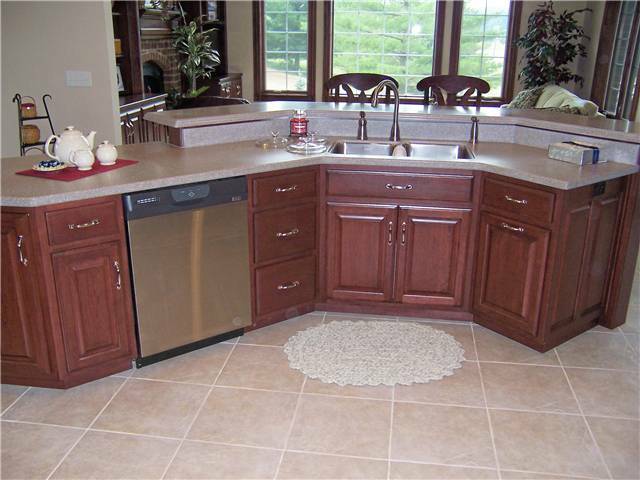 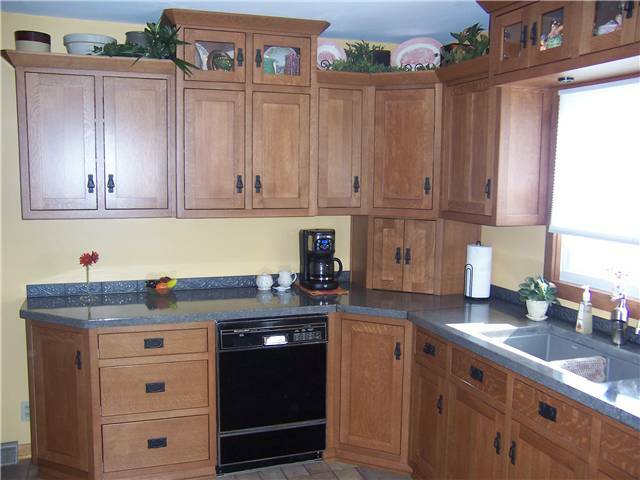 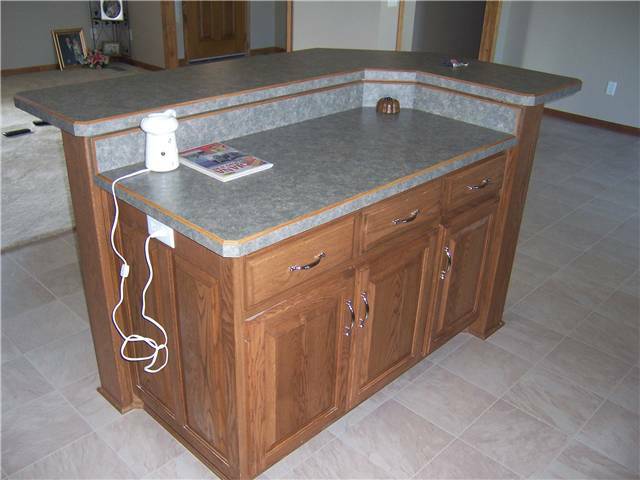 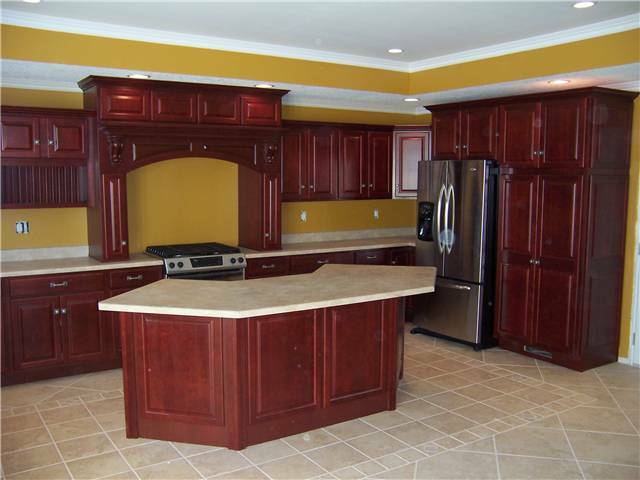 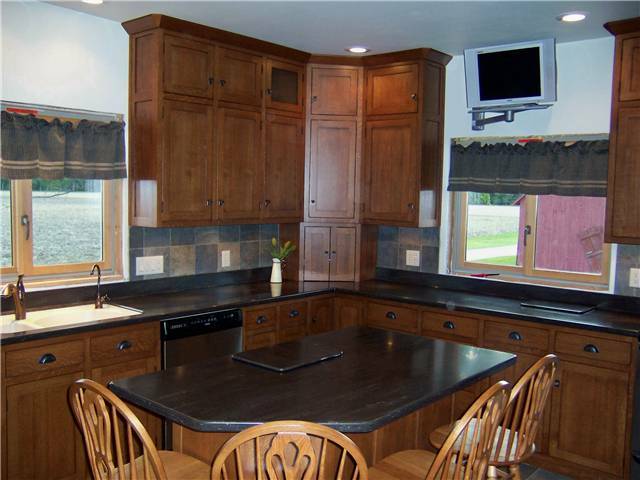 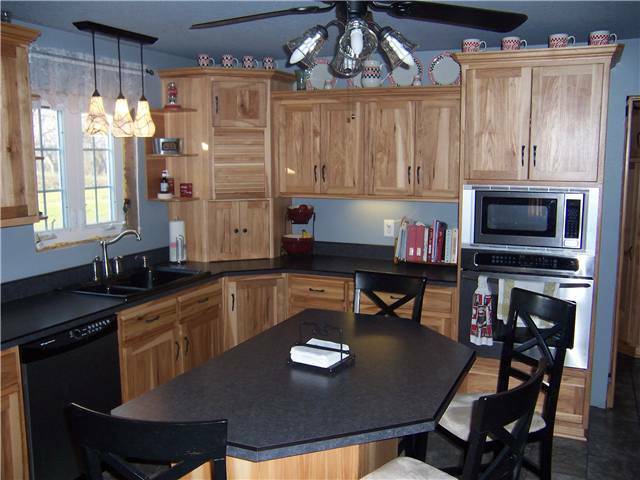 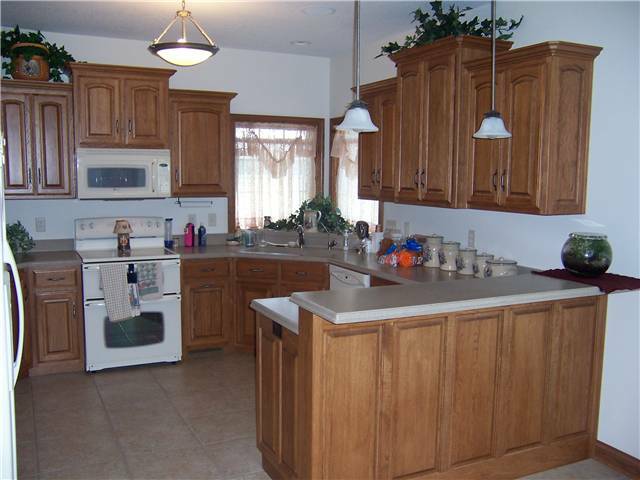 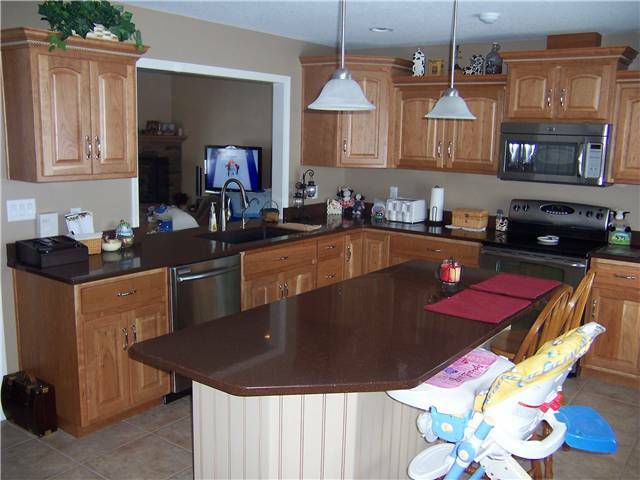 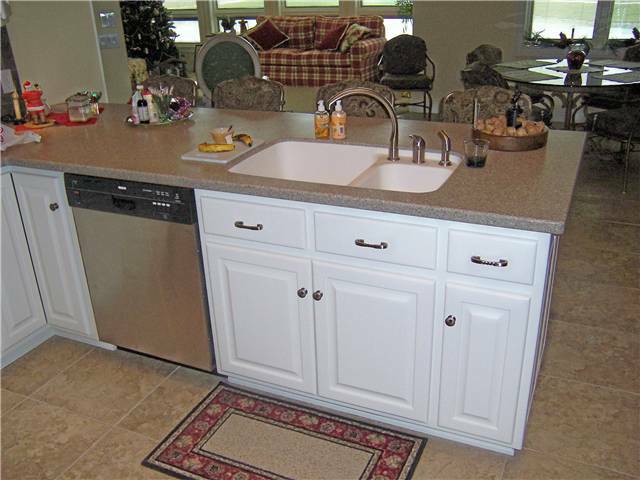 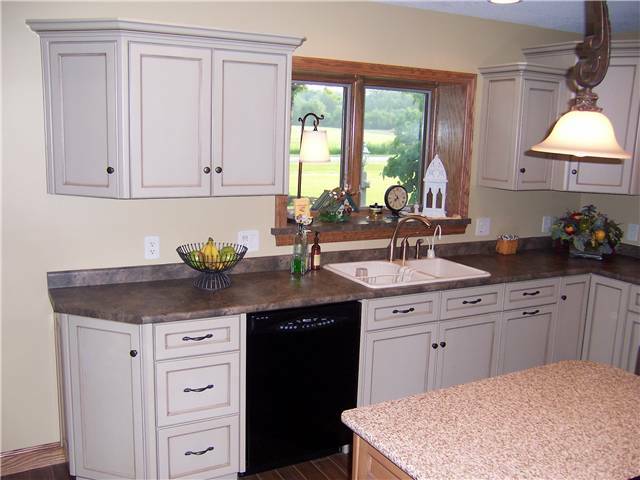 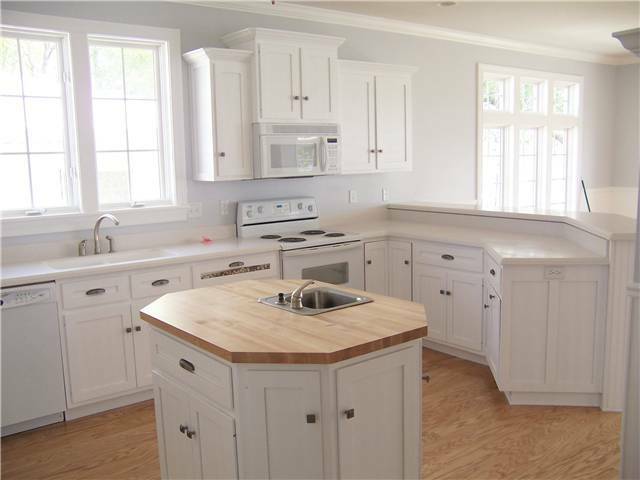 Laminate countertops are the most affordable option for new countertops or countertop replacement. 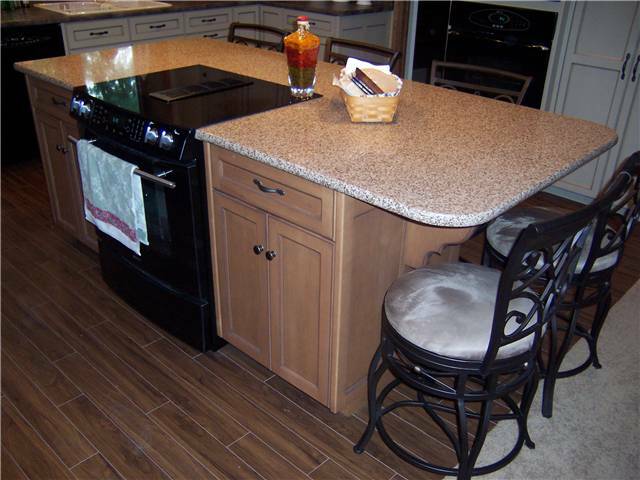 Recent innovations in color, pattern, and edge treatments continue to make laminate an attractive option for any room in the house or business. 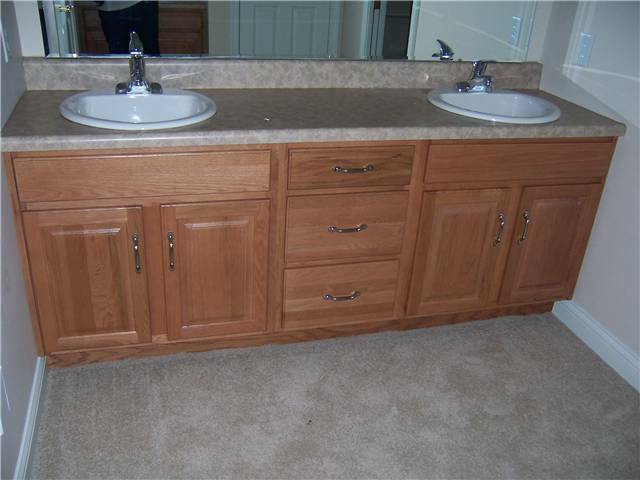 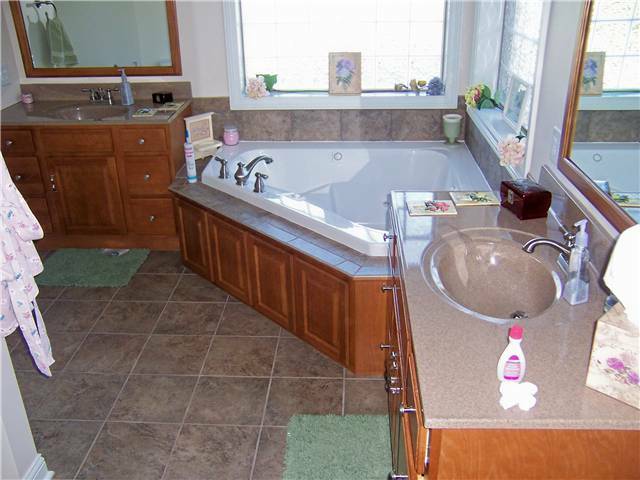 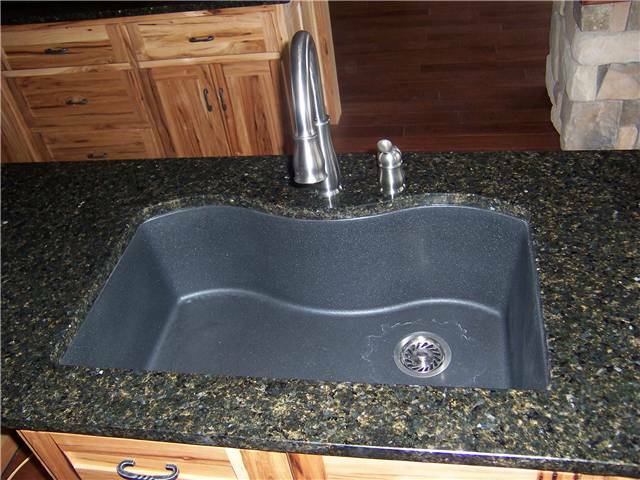 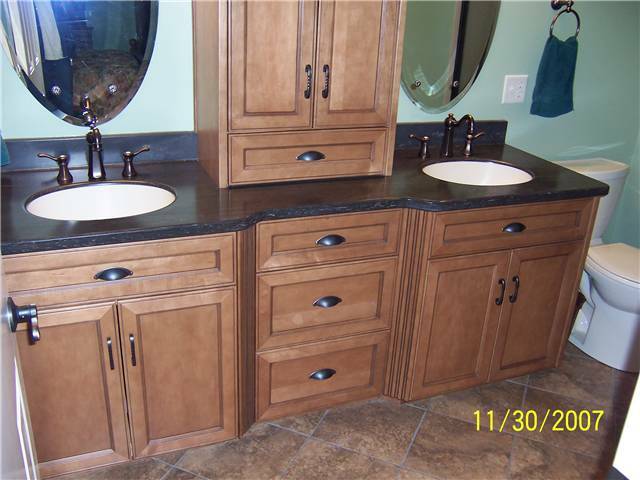 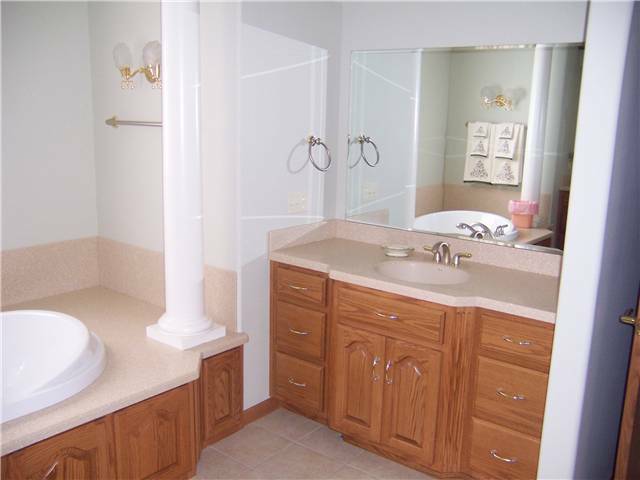 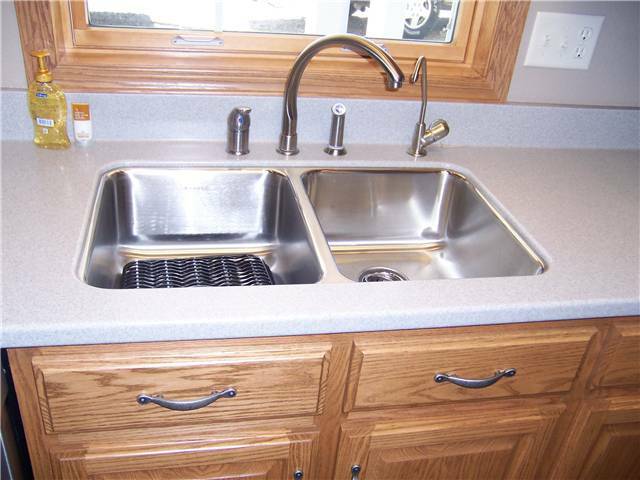 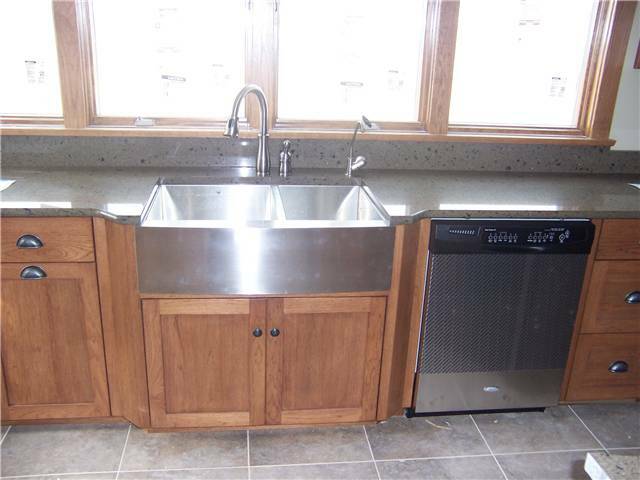 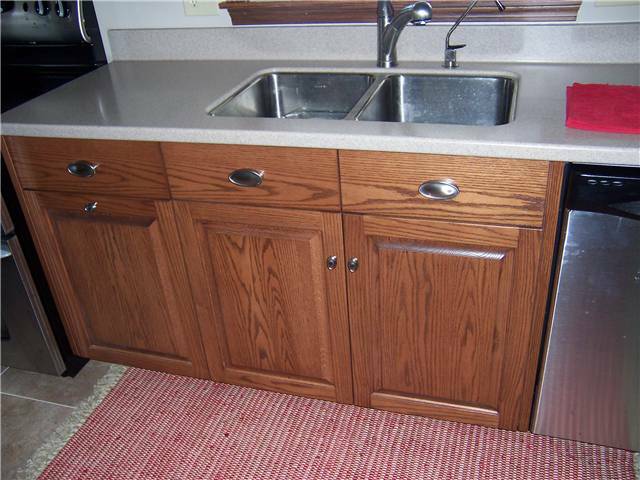 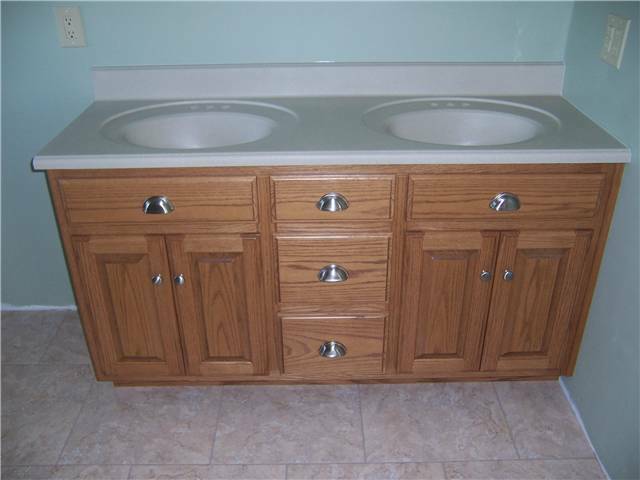 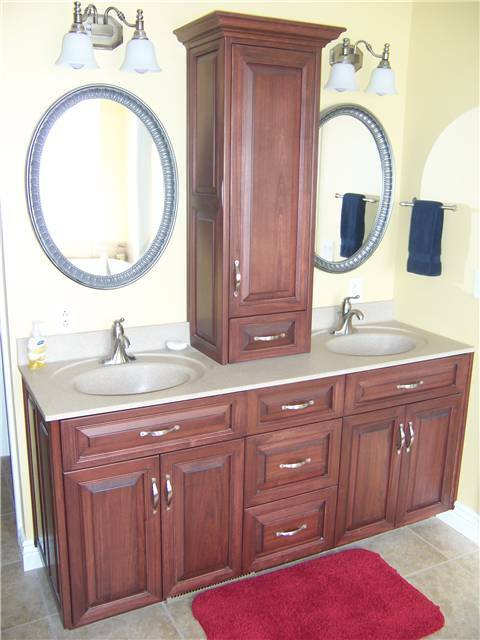 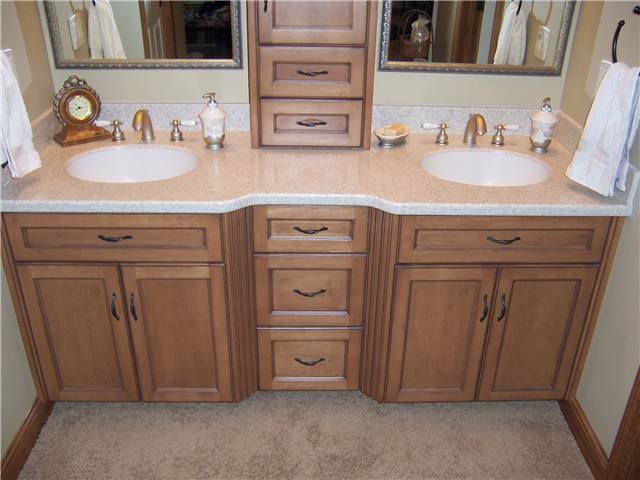 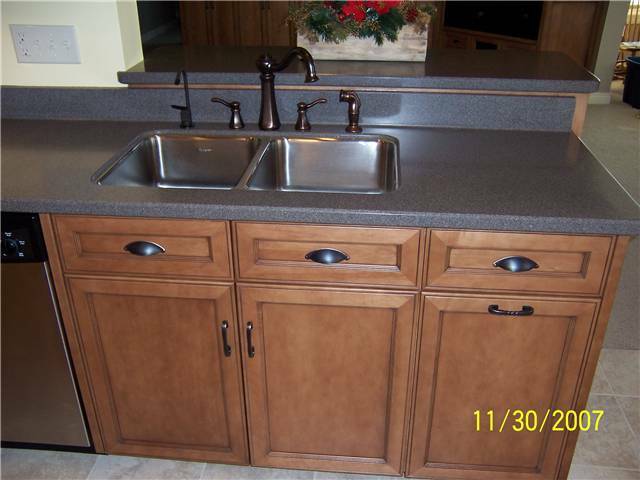 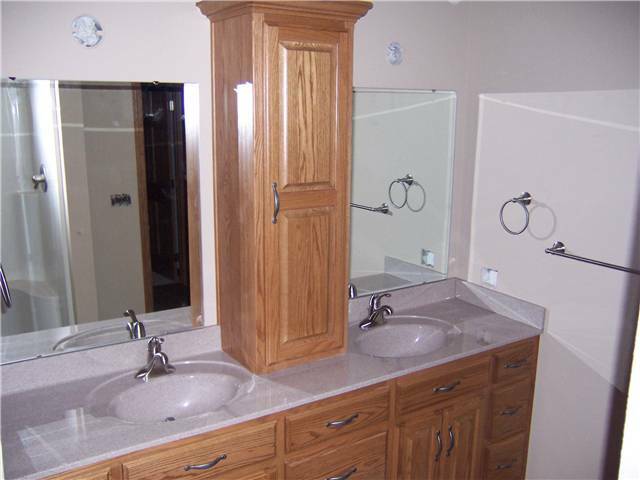 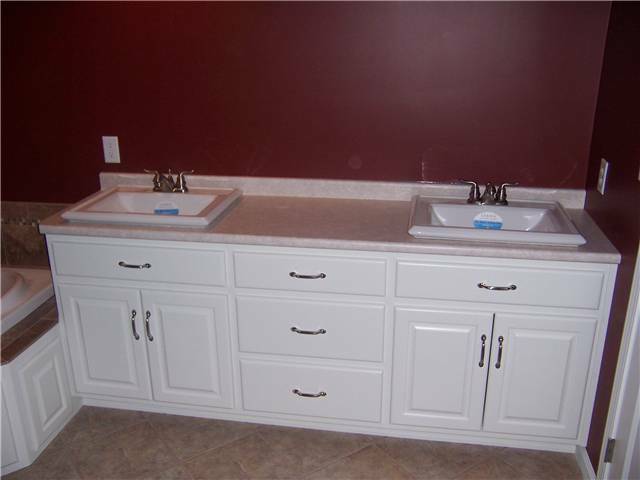 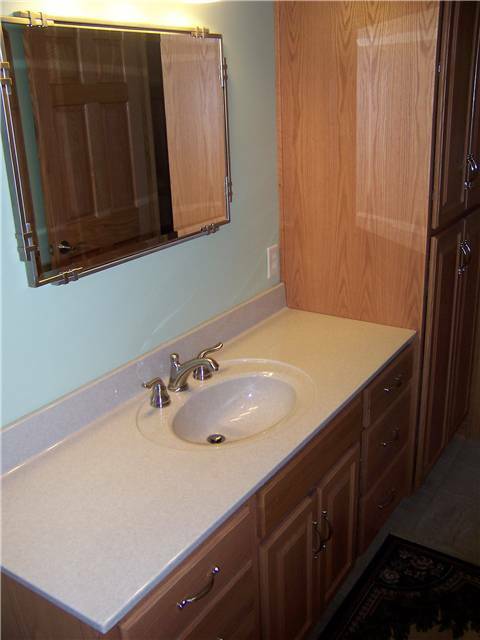 Undermount sinks are also now available for laminate countertops.